I've been so excited for this ever since the first alpha landed. 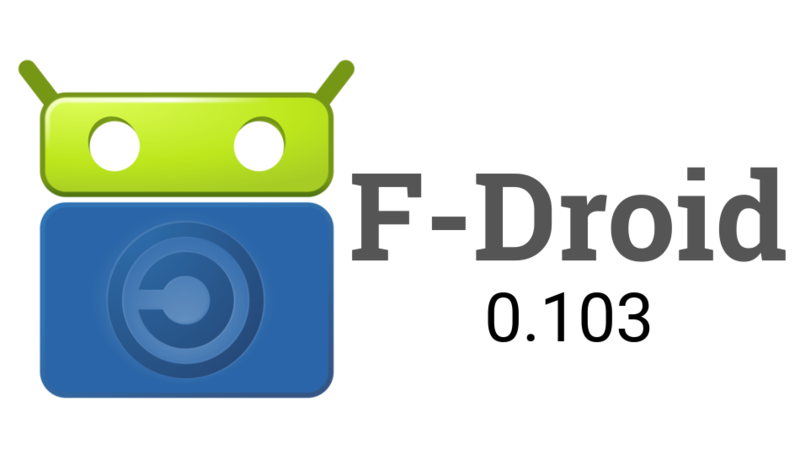 F-Droid has been a mainstay on my devices for a really long time. I don't buy phones I can't get root on, and F-Droid is pretty much the root-friendly app store for open source projects. 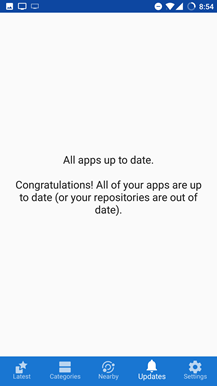 Even if you don't root, having an open source repository for Android applications available significantly expands the freedom of Android as a platform. Google might be a trusted gatekeeper, but it's always nice to have other options. 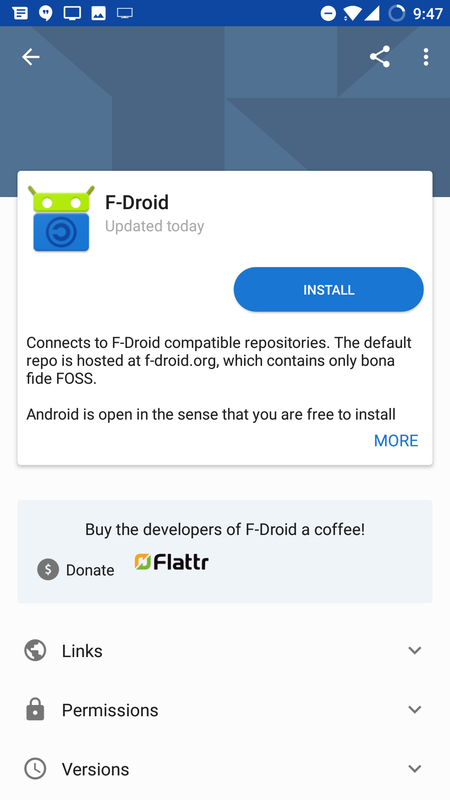 As an aside, I encourage anyone who likes the services F-Droid provides to consider contributing to the project; even outside of monetary donations, there is a ton you can do to help. The new layout is a tremendous improvement. Nothing was really wrong with the old one, the three category tabs were easy to navigate, perfectly functional, and inoffensive. But, the new 5 tab design is much more in the vein of an app store, and I think it's a good move. 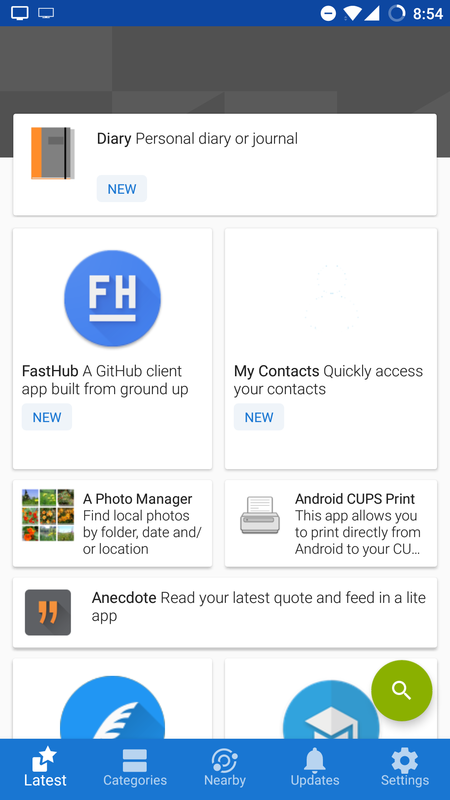 The new UI is more image-heavy, not just inside app listings with new screenshots and feature graphics, but also just navigating around the Category listings, which have new image headers. The new horizontal lists are also nicely reminiscent of Google Play, and the Latest tab has a new card-style UI. 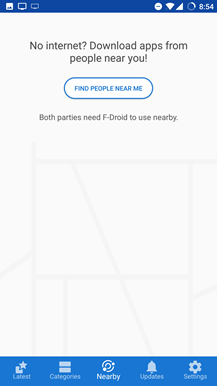 The changes also highlight one of the most ignored features of F-Droid: the ability to send apps to other devices locally. 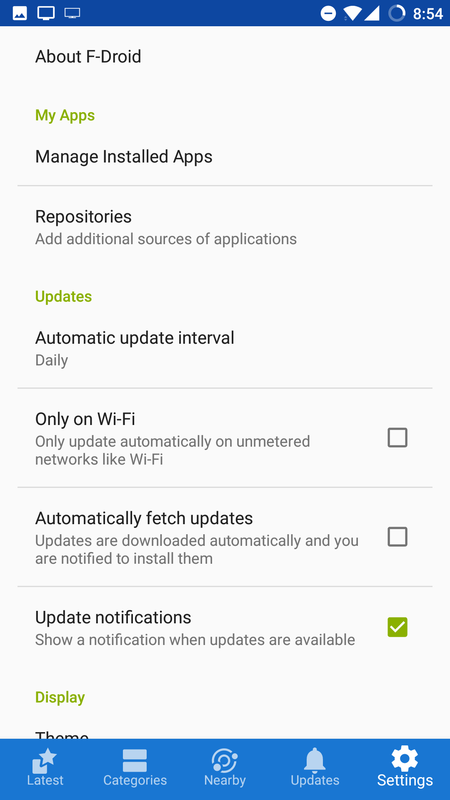 The Nearby tab moves that tool out of the overflow menu so you can send updates to your other devices, or swap with friends in an environment with limited data. 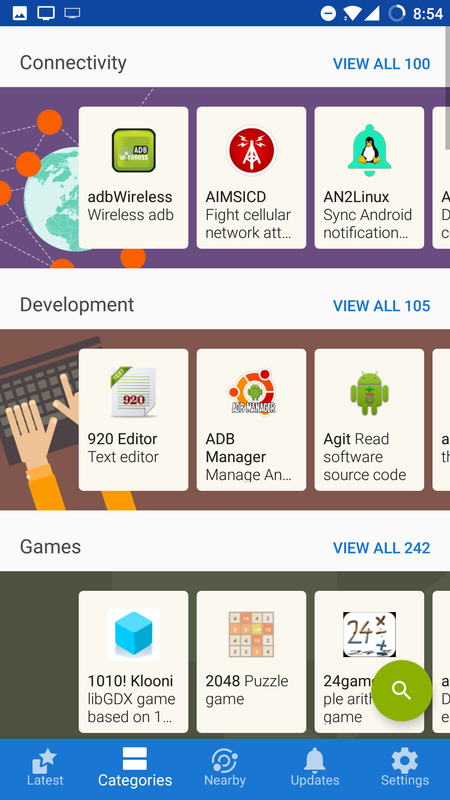 F-Droid might be a centralized repository, but having decentralized distribution available is fantastic for user freedom. 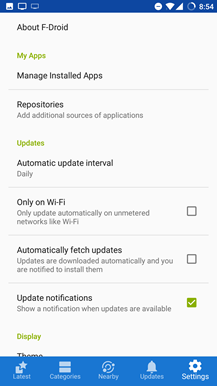 Non-visual changes include bulk download, translatable metadata, and new notifications for updates and ongoing downloads. 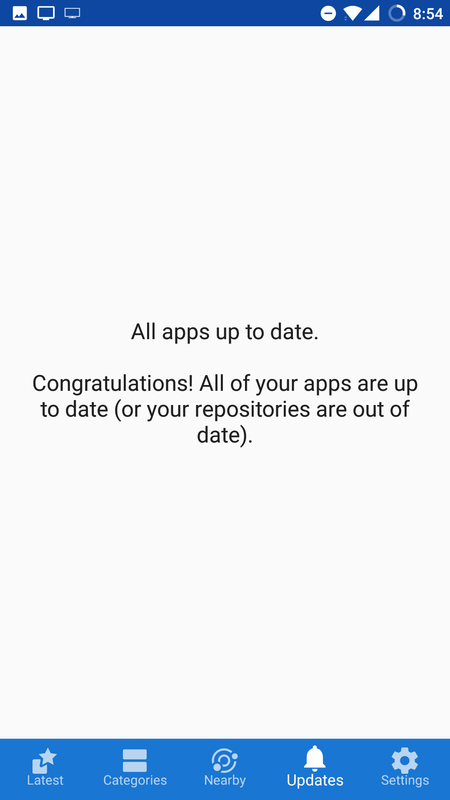 Those of you that might be using F-Droid just as a means of keeping one or two non-Play apps updated should take a look at the new Latest and Categories tabs. Application discovery has been pretty difficult historically inside the application manager, and the new layout makes looking around for apps a lot more pleasant. I still wish they had some sort of curated selection, but with the open nature of the repository that might work contrary to their goals. 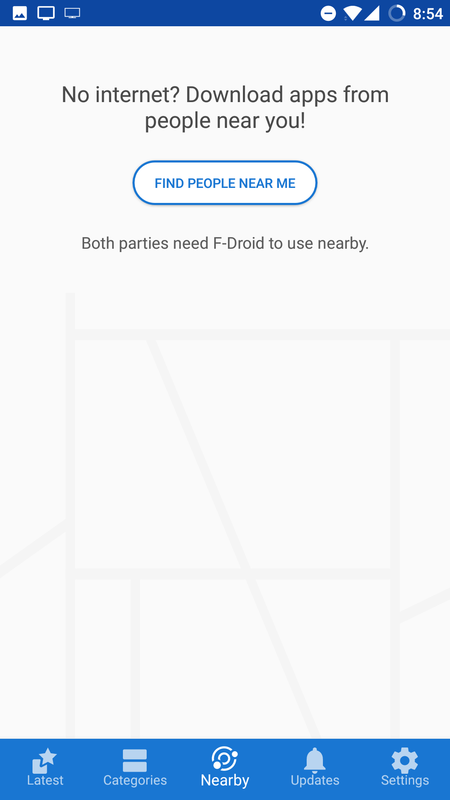 If your interests in decentralized distribution extend as far as trying to download F-Droid somewhere else, feel free to check it out over on APKMirror. Conformists can download it on F-Droid's own site.